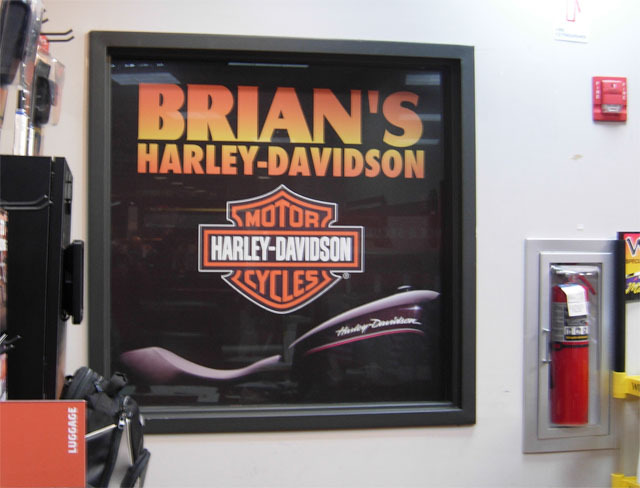 Our local Harley Davidson Shop needed some visual enhancements for their showroom, and decided to have Custom Window Graphics installed. 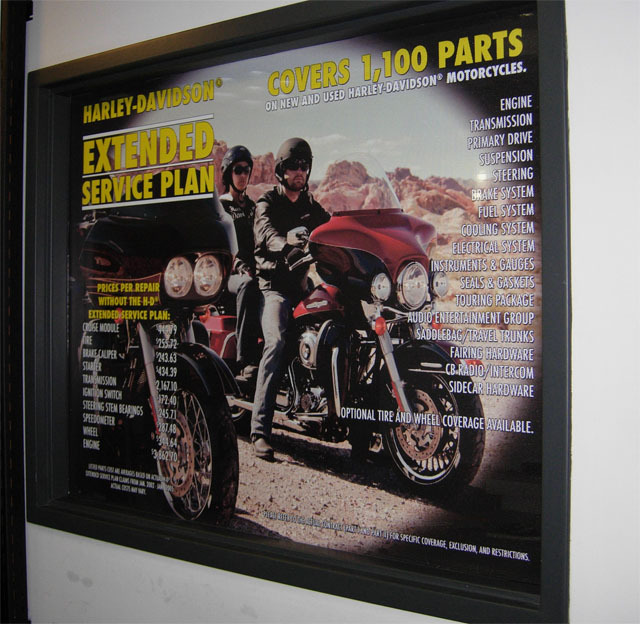 We installed the printed vinyl graphics and also tinted one of the office windows. 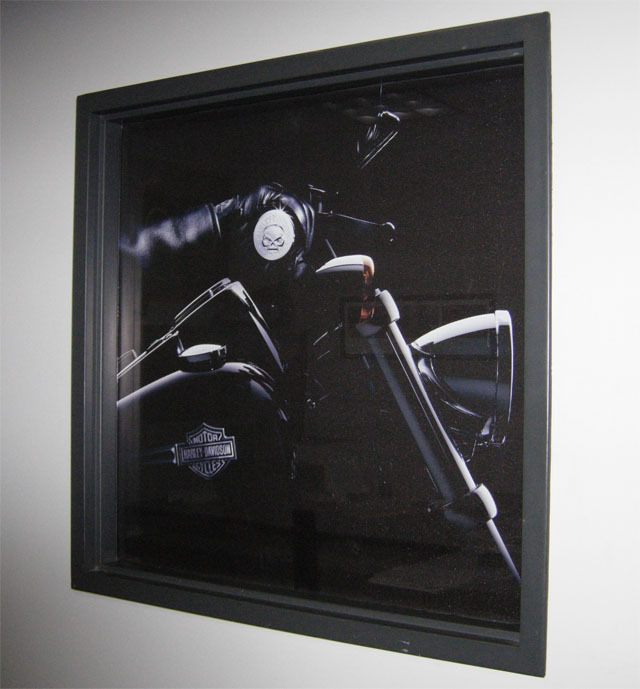 Now it provides privacy because you can only see out but not in using our perforated film.